Abalone (Haliotis) are all hemophiliacs. If they were injected with sand to form a cultured pearl the way an oyster is they would bleed to death. A pioneering man in New Zealand has found a way to gently "nucleat" them so they produce a cultured, consistent half dome shaped pearl. What I'm fascinated with though is the natural pearls created by the animals that are odd shapes and sizes like the ones pictured here. They are quite rare and exquisitely beautiful and they provided the inspiration for this next limited edition series of Goddesses. 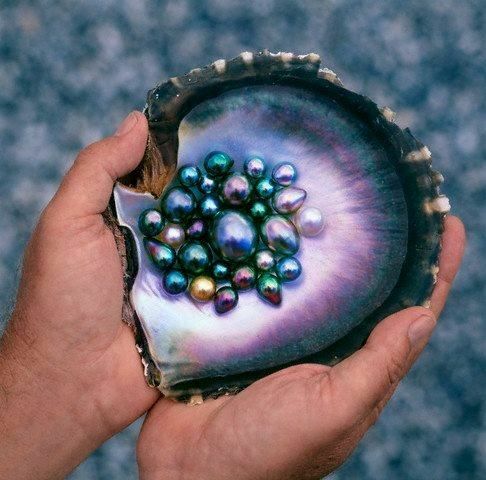 It is believed that abalone brings with it a natural shielding that blesses the person holding it with tranquility. I concentrated on that when I created these lovelies. Enjoy!